The sun was shining on November 10, 2011. Flowers were orange, yellow and white, with accents in ocean blue. 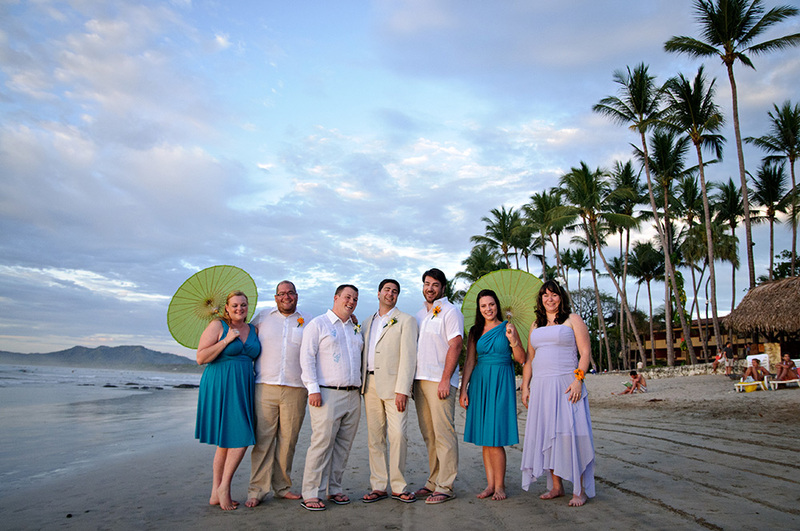 The bridesmaids wore cute teal wrap dresses and carried parasols, while the groomsmen wore guayaberas, along with Jeff and Brett, however theirs were embroidered with green and blue. Jeff and Brett were completely stress free, all the way until the walked down the aisle together. 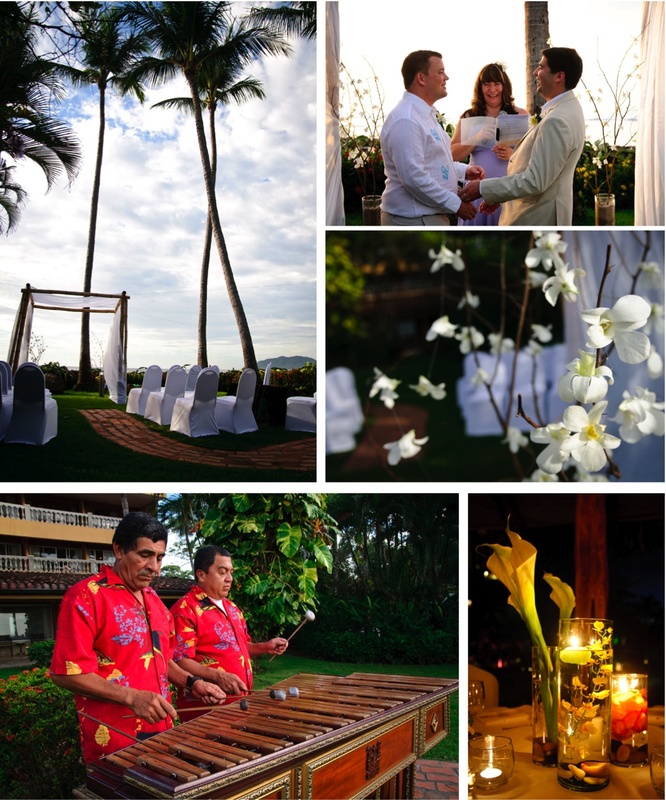 And what followed the beautiful ceremony was nothing less than perfect. The toasts that lead off the dinner were heartfelt, funny and very emotional. This is one of my favorite parts of a wedding, you really get an idea of the couple; from the words of the people closest to them. Jeff and Brett are blessed with wonderful people in their lives. Kicking of the dancing was the first dance, friends and family joined in, and when it slowed down a bit, Jeff and Brett picked it up with a lap dance…nice work! The night ended with canapes, cocktails, a bonfire and fireworks on the beach. Sounds like a lot going on? It wasn’t, it was romantic and beautiful. A perfect way to end an evening that started with a wedding! CONGRATULATIONS Jeff and Brett! We wish you a lifetime of happiness! You were a pleasure to work with and for!